Chicago native Dave Hollister has always had vocal chops, straddling the secular and gospel worlds with seeming ease. But after a peak career in the ’90s with Teddy Riley’s group Blackstreet, and then as a solo artist, his name disappeared from the lips of fans who had reveled in his old-school-style love songs. Hollister is the subject of Wednesday night’s episode of Unsung, which tells his unorthodox story. In the end, he’s an artist who follows his own calling, despite the industry’s whims. Growing up with a father who was a pastor and a mother who was the choir director, Hollister spent every day in church and sang in the choir. He wasn’t allowed to listen to secular music, but he would sneak and listen to R&B. K-Ci and Jo-Jo from Jodeci were Hollister’s first cousins, which helped him become savvy about what to do and what not to do in the music business. After Blige and Hollister recorded the duet “I’ll Do for You” and he toured with her, Hollister ended up being offered his first deal with Uptown Records. Confident in his own abilities, Hollister didn’t like the parameters, so he didn’t take the deal. Instead, he spent many years chasing Teddy Riley with his demo before he finally trapped him in an elevator in Los Angeles, a city where Hollister and Jodeci were performing for the Uptown MTV Unplugged showcase. After Riley listened to his demo, he told Hollister that he was blown away and that when he started his label, he would come get him. But they didn’t exchange numbers, so nothing ever materialized. As fate would have it, Riley was in Virginia at a show where Blige and K-Ci were supposed to perform the duet “If Loving You Is All I Have to Do.” K-Ci wasn’t there, so Hollister filled in for him. After the show, Riley asked him to be a member of his R&B group, Blackstreet. Hollister scored big as the lead singer for the hit “Before I Let You Go,” which rose to No. 2 on Billboard’s R&B charts. After a beef with one of Blackstreet’s members, Chauncey Black, Hollister took the rift as a sign to go solo. He signed with Erick Sermon’s Def Squad and later with Qwest Records and Dreamworks. Even as he experimented with many lyrical topics and hip-hop soul, his highest-charting singles were always the romantic ballads, like “One Woman Man,” “Take Care of Home” and “My Favorite Girl.” But his own personal life was far from what was depicted in the saccharine lyrics he wrote. He dabbled in all the rock-star tropes, from a revolving door of women to mounds of cocaine, before a literal car crash made him come back to gospel music. He became a bishop but still didn’t feel that he belonged only to the gospel world. 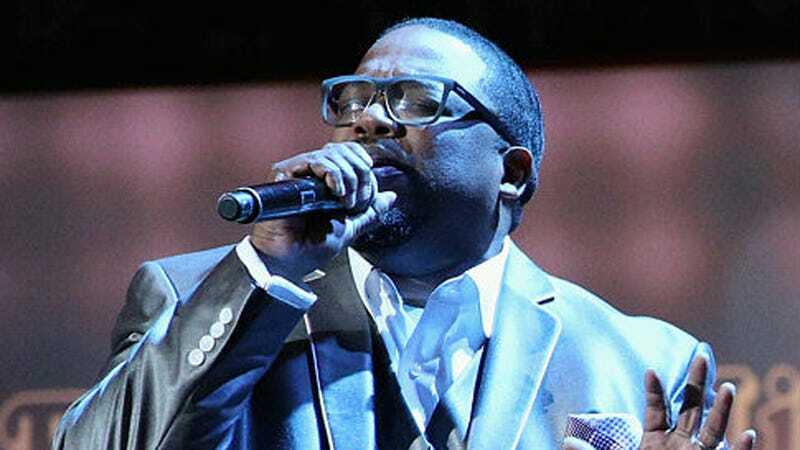 Following his re-entry into gospel, he released two more R&B albums and continues to record music that he feels inspired to write and sing. He says he gets the most unwavering support from his R&B fans. TV One’s Unsung: Dave Hollister’s Rocky Start airs Wednesday at 8 p.m. ET/7 p.m. CT. I am an author, journalist and professor. My first book, Love, Peace and Soul, the behind-the-scenes story of the television show, Soul Train, was published in 2013.